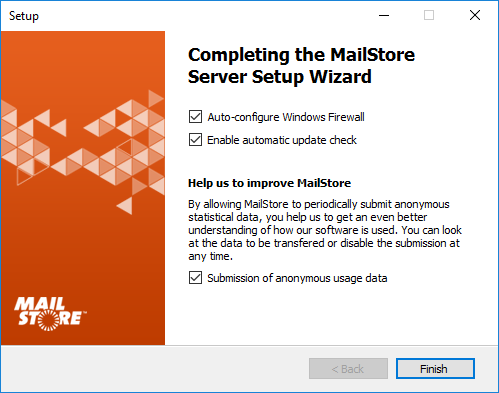 Why did MailStore Software Version 10 introduce the option to send usage data? Ever since we released the first version of our software back in 2006, customer feedback has always, continuously contributed to improving its application. In the past, this feedback primarily consisted of tickets and requests sent to our support team, or responses from partners. However, that only offered us a limited perspective on the actual usage and application scenarios, and this feedback was mainly limited to situations in which problems arose. Things were even more complicated for MailStore Home, since our freeware is used worldwide and available for download on countless portals. Unfortunately, the individual cases discussed in our support communities also only provide us with partial insight into the way this product is used. In order for us to continually improve our software, we need to be able to understand where and under which conditions it’s used. Because of that, we decided to make it possible to transfer usage data from the software – provided that the customer explicitly, actively agrees to this by checking the corresponding opt-in box during the installation process. Of course, this setting can be changed at any time during use. What kind of data is transferred? First off, every administrator or private user can decide themselves whether data should be transferred. Our software then offers them the opportunity (via the ‘View data’ button) to check which data is transferred. It’s important to know that all data is transmitted in anonymized form, which means that it cannot be allocated. If the customer decides to transfer data, only the static state (current state) of the system is sent; this includes information such as data on the operating system on which MailStore is running, whether a trial version is in use, or how many configured users there are. The number of archived emails allows us to calculate the average size of MailStore archives. Moreover, we also learn which archiving profiles are in place and thereby learn whether IMAP or Exchange servers are being used, for example. 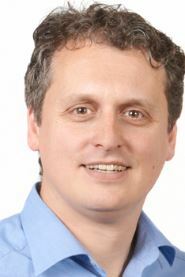 Do admins and private users have to worry about data protection? We’ve been continuously further developing our software since the first release so that we can provide our SME customers and private users with a suitable, contemporary email archiving solution. Our customers have also proven themselves to be particularly loyal. For that reason alone, it would be foolish of us to betray the trust of our highly security-conscious customer base with insufficient data protection. So, to put it very clearly: No, customers don’t have to worry about data protection at all. There are several reasons for that. Unlike other solutions, our software provides customers with the opportunity to consciously choose for or against data transfer as well as to change this decision at any time. The type and scope of the data to be transferred is versioned, and the consent for data transfer only applies for the respective version in use. If the type and scope of the data to be transferred changes in future versions of the software, this transfer must be consented to again. No personal data (such as passwords, usernames, and so on) is transferred. No permanent data transfer takes place. Data is transferred once a week at a randomly determined time. MailStore stores the anonymized data in Germany and does not pass it on to third parties. It is only used for further product development.